The recent occurrence within Microsoft has shown that the digital assistant aren't quite working as anticipated, as the company has downgraded Cortana’s importance by moving it from the AI and Research Division to the Experiences segment. Now, Windows 10 Insider Build 18317 has Cortana separated from the search box, with the separation from the Windows 10 search box as perhaps the most significant change by Microsoft, citing that it will allow each experience to innovate independently to best serve their target functions. 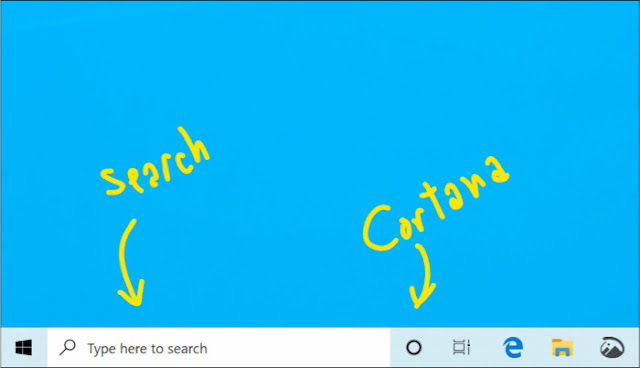 The Windows search box has overtime been transformed into a way to search the Web and PC, while Microsoft maintains that Cortana will once again innovate into a voice-first digital experience for all users. Also included in Build 18317 are new ways to import fonts, a revamped Windows Console for Linux, and separate process for the Start menu, the ability to drag & drop fonts in the Settings > Fonts page, with other less cosmetic changes for software stability. Microsoft claims to be locking down the “inbox” apps, like Mail, Calendar, and Photos, which is quite a concern as well as the removal of features from the apps, most especially Photos app. The Windows Insiders will get the features by going into the settings for inbox app, like Photos and clicking “Join preview” tab, though it could be launching for all users with 19H1 expected in spring of 2019.